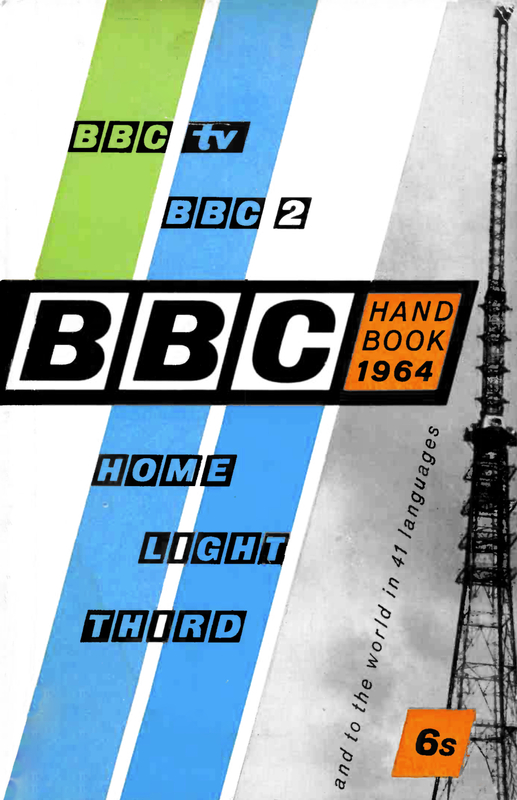 Ten years ago, when the shadow of the Television age seemed rather ominous for Sound, few people would have believed that radio in Britain in 1964 would be a medium still in universal currency, still developing, progressing, and expanding. Yet that is our state of health at this juncture. Even though almost 90 per cent of the population of Britain now has television, the latest figures show that from twenty-six to twenty-seven million people use sound radio on the average day, and the figure moves steadily upward year by year. Nor is the use merely a nominal one. Those who listen do so, on an average, for something like two and a quarter hours each day. This continuing interest in radio is supported by the statistics of receiver sales. Last year, radio sets outsold television sets by a comfortable margin in the dealers’ shops. Two and a half million radio receivers were sold in Britain during 1962, an average of one every twelve seconds. Broadcasting’s vast audiences have shown that they require radio as well as television, and have plenty of room for both. Sound’s crisis is past. It has emerged as a medium which demonstrably has an important and valuable future. But it will be a future with a difference. In looking to 1964 and the years ahead, sound must of course take account of the opportunities which technical development is continually offering. Two such developments are clearly revolutionary. The first is the introduction of the transistor receiver, which can be so small in dimensions and so efficient that it can be taken and used almost everywhere. Through the transistor, sound is fast becoming the truly ubiquitous medium. As the advertising slogan in the USA has it, ‘wherever you go, there’s radio’. The transistor is making sound a personal service for every listener, something that can be at his disposal all the time, rather than something to which he can only come during a few limited hours of the day. The other major development, VHF, is, in a sense, right at the other end of the scale. VHF is high fidelity broadcasting — radio for the connoisseur — able to ofFer something approaching perfection in listening to the individual who is prepared to cultivate the medium and to devote his attention to it in some of his leisure hours. VHF transmission of all three sound services now blankets the country. Nearly 99 per cent of the population is within reach of VHF, and about five million VHF sets are in use. In a way these technical developments divide the audience, and such broad divisions are going to be important considerations for the future. The demands of the transistor-listener are likely to vary considerably from those of the VHF listener. The millions who look to radio for a pleasant background sound to ease the boredom of the routine daily chores, require a service quite different from the needs of the much smaller audience of ‘foreground’ listeners who turn to sound in a positive way and call for serious programmes to which they are prepared to give concentrated thought and attention. Again, it is often suggested that because television is now so widespread, sound should leave light entertainment, say, or drama, entirely to the visual medium. But this argument ignores the just claims of around five million people who for one reason or another are still entirely dependent on radio. In the television household, sound is inevitably a complementary medium. In the sound-only home, radio must continue to provide the full programme range. So BBC sound broadcasting in 1964 will be shaped with all these complex considerations in mind. We shall try to serve our big battalions faithfully. Our minorities will still be cherished. Our aim will be to use our three channels even more effectively than before to satisfy the ever-widening range of programme requirements. But these good intentions could truthfully be set down about any year. What makes 1964 special is the hope that, if negotiations in progress at the time of writing succeed, it will see an increase of sound broadcasting time each week by as much as one-third. During 1964, if our plans mature, we shall extend the Light Programme’s day by three hours, starting earlier and finishing later. Meanwhile, we hope to introduce on the third channel a regular service of serious music, running right through the day until early evening when the Third Network will take over. This filling-in of the sound broadcasting pattern, if it can be achieved, will provide the British listener with a range of programme choice unrivalled anywhere in the world. It will be the most important radio innovation in this country since the introduction of the Home-Light-Third pattern at the end of the war, and it will indeed make 1964 a milestone year.